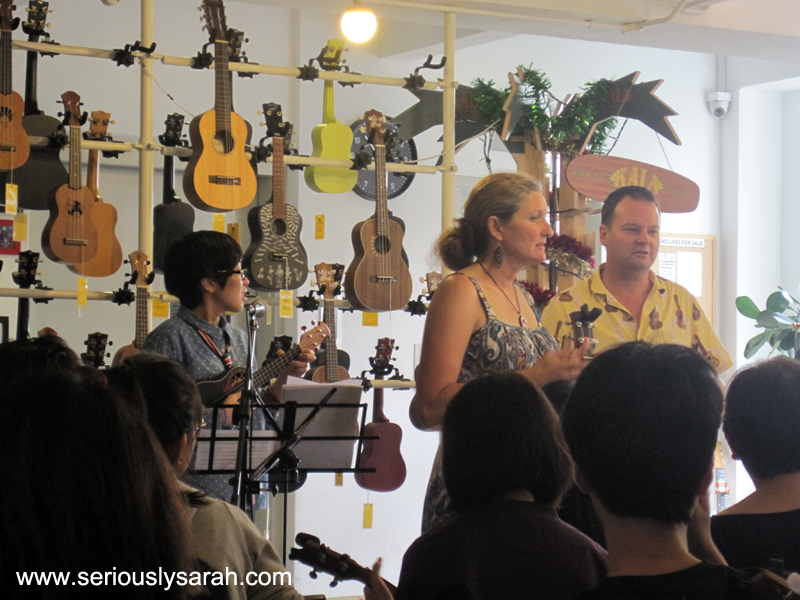 Whenever Ukulele Movement sends out their newsletter about workshops, just click ‘buy’ whenever you know it’s the workshop you want because they seats are limited and they get sold out fast! 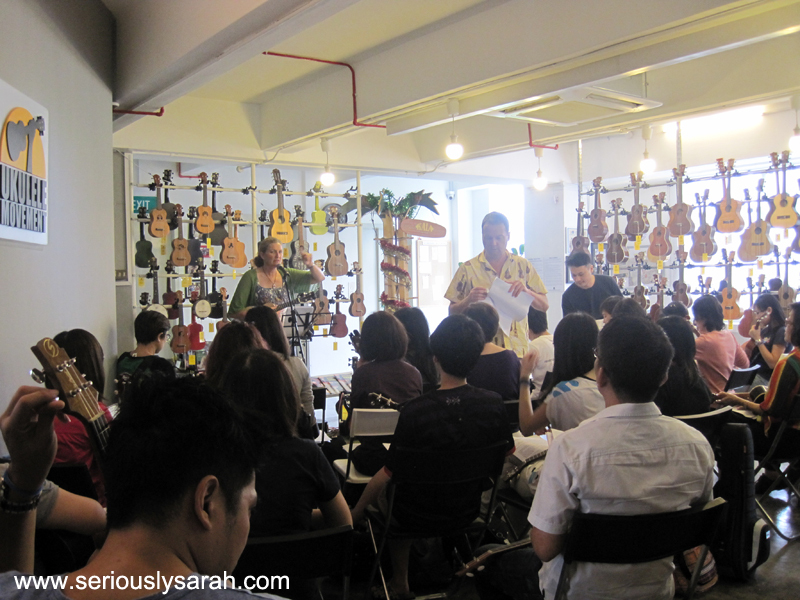 This time it was an ukestration workshop by Mark and Jane! The Sum of Parts is their new website so check that out if you want to know more about playing ukulele in an orchestra. 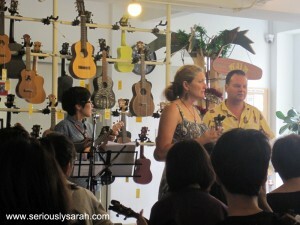 Yes, Ukestra = ukulele orchestra. And it was REALLY FUN! We got to learn three songs in that two hours and it was pretty cool. They were Catch My Disease by Ben Lee, Somebody I Used to Know by Gotye and All I Want Is You by U2. June sang it for All I Want is You and hey, you can listen to it by clicking above. For each of the songs Mark and Jane got members of the audience to sing it. I was sitting in the back but hey, if you’ve never played in a band or orchestra before, try it if you can. This workshop said to bring your friends with you so you can do a group thing and well, I think we can certainly ukestrate it. And that’s what we did on the weekend. Look! Ukulele Movement posted the video for this song. Pingback: Ukulele, making music again. | Oh Look, Krill! hear your Ukulele Orchestra and join in your session. Previous Previous post: Extended Edition!